With the high global number of refugees, countries need better ways of checking educational credentials, a new report says (Image: Pixabay). A recently published report examines the progress in overcoming a well-known barrier for refugees: Recognition in their new countries of prior education credentials or employment qualifications. However technical the barrier may be, it can create enormous hardship for individuals. Laila Khalil, a 37-year-old dental technician, fled Syria to Hamburg in 2014. She used to run her own dental laboratory in Syria with six employees. In Hamburg, she found herself destitute. Like many refugees who have fled from combat zones, Khalil was unable to take any documents with her and had no proof of her skills and credentials. A recent publication from Antoninis’s agency examines what nations and international agencies can do better to respond to the plight of migrants like Khalil. Khalil was one of the lucky ones. Germany offers a web portal, available in Arabic and seven other languages besides German, that helps migrants and refugees obtain recognition of their qualifications. Khalil applied to the recognition counseling department of Hamburg’s Tradesmen’s Chamber as a first step to get her qualifications recognized. She spent a week practicing in dental workshops, where she showed her work experience in front of specialized trainers, tutors and experts. She got partial recognition and then got a full recognition in February 2016 after attending a qualifying workshop. As a recognized specialist, she quickly found a steady job, at a dentist’s clinic in Hamburg. “After recognition, everything became much better for me,” she said. Mahmoud Salam, 32, who earned a medical degree in Syria, has been working in home delivery at a restaurant since arriving in Hamburg. “I have to work to provide my living till I get my medical degree recognized,” he said. According to Salam, who fled to Germany through Turkey in 2014, it will take more than three years to get his degree recognized and obtain a license to practice medicine. During that time, he has to learn German, local medical terminology and how to deal with patients. Like Salam, many migrants take whatever jobs they can find to provide their living expenses while waiting for their skills and credentials to be recognized. More than a third of highly educated migrants and refugees are employed at a level lower than their qualifications, says the Global Education Monitoring team’s report, which was produced in association with Qatar’s Education Above All Foundation and UNHCR, the United Nations’ refugee agency. 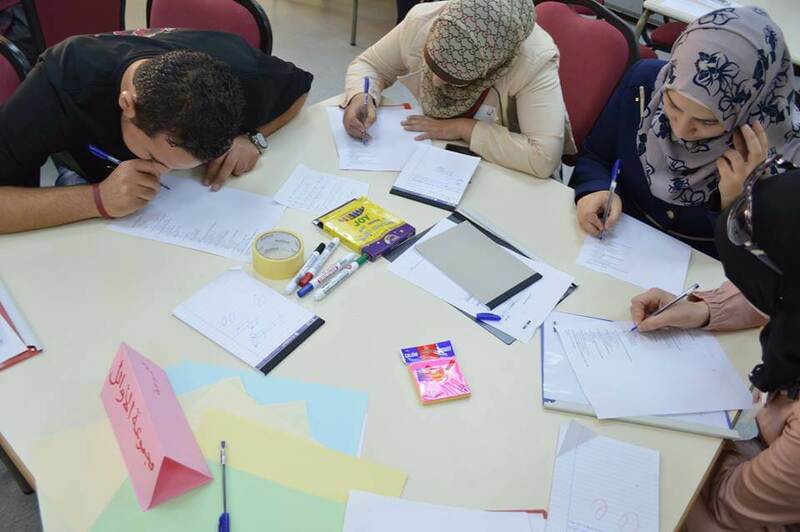 The recognition of qualifications is not just a problem for those who have fled conflict in Arab countries. In the United States, nearly one out of every four immigrants with a high-school diploma ends up in a low-skilled job or, worse, unemployed. This results in an annual loss of $39 billion in unearned wages and $10.2 billion in lost taxes, says the report. In member nations of the Organisation for Economic Cooperation and Development, the report estimates that only 30 percent of immigrants who earned high-school diplomas outside of Europe and North America are employed in highly skilled jobs. Fewer than 15 percent of such workers said their level of education was commensurate with their jobs. At the national and international levels, many laws and conventions have been put in place to address this problem, but the majority of them face challenges. One of the oldest such international agreements, the Lisbon Recognition Convention—officially the Convention on the Recognition of Qualifications Concerning Higher Education in the European Region—was adopted more than 20 years ago and has been ratified by 57 nations. It calls on the signatory parties to take steps to recognize refugees’ qualifications that cannot be fully documented, but as of 2016, the report states, more than two-thirds of them had taken few or no such measures. As the flow of refugees to Europe increased in recent years, however, some countries have taken positive steps. In other countries, national agencies for the recognition and comparison of international qualifications and skills, known as NARICs, have adjusted their procedures to reflect refugees’ needs. The NARIC in Flanders, Belgium, for example, waives the fees for its recognition procedure for refugees and other displaced people. In 2016, the NARIC and the Association of Flemish Universities launched a pilot project toward recognition for master’s degree students in science, engineering, economics and business. Applicants attend a limited number of courses or a seminar in English, go to practical training sessions, and write a paper. Academic supervisors then supply the agency with advice on the students’ qualifications. In Canada and the United States, which have highly decentralized education systems, the government plays no direct role in credential assessment. The Canadian Information Centre for International Credentials has published a set of best practices and guidelines for checking the qualifications of refugees without documents. One of the Canadian center’s recommended approaches was followed by World Education Services, a nonprofit organization that has tested a way of evaluating requests from Syrian refugees for recognition based on a range of evidence. For instance, a complete or partial transcript or degree certificate would be assessed, whether an original, a photocopy, or an electronic copy. At the end of the process, the organization would issue an advisory report on the nature of the credential and its equivalency in Canada. It plans to extend the service to refugees from other countries. Evaluating education when a refugee has no documents is more difficult. Although a small number of countries, including Norway, attempt to electronically measure the skills of adults at refugee reception centers, most countries lack such systems. Syrian students who flee to Arab countries also face difficulties in obtaining recognition of prior learning. In Iraq’s Kurdistan region, refugees’ access to universities requires equivalency recognition of their high school certificates. The Ministry of Education can issue temporary documents based on a stamped copy of refugees’ diplomas, which allows students to register. Students need to present the original document within 20 days of their arrival to receive official recognition. In previous years, the period for submission has been extended up until the time of graduation. But in the 2018-19 academic year, the ministry rescinded that practice, and humanitarian agencies are fearful that refugees may risk returning to Syria to obtain their original certificates. Regional agreements like the 1978 Convention on the Recognition of Studies, Diplomas and Degrees in Higher Education in the Arab States may help alleviate some concerns. Arab countries are expected to adopt a revised version of that convention in the year ahead. UNESCO has formulated a global treaty on recognition of higher education qualifications that will be put forward for adoption in 2019. It aims to ensure mutual recognition of qualifications in a fair and transparent manner. For those still waiting to resume their studies or career, though, the ordeal of starting over in a new country can take a psychological toll.